I am over the moon to tell you that I reveived Starburst Magazine’s Brave New Words Award last night, for my editor work on Pacific Monsters. I am so happy and chuffed to receive this award and get a recognition for the work I do as anthology editor with the book series Fox Spirit Books of Monsters. Thank you so much, Starburst Magazine, the judges, Ed Fortune, Adele Wearing and Fox Spirit Books, and all the wonderful monster writers and artists. Pacific Monsters was a fun book to work on and I am thrilled that people enjoy it. Thank you also to the very kind Alex Davies, who accepted the award on my behalf, see the pictures (taken by the lovely Brave New Words podcast), and also performed a «thank you» speech from me, see it below. We would like to offer our huge congratulations to the winner of @STARBURST_MAG's #BraveNewWords award, @MaHelgad (Margrét Helgadóttir) for PACIFIC MONSTERS with @FoxSpiritBooks!!!!!!! The Brave New Words book prize is new in 2018 and goes to an individual, not a specific work, and the judges have been looking for examples that most define the creators output. The award goes to someone who produces break-out literature that is new and bold, and breaks new ground. The shortlist-picture is from Brave New Words Podcast’s Instagram. The panel of judges has been Russell Smith, Mikey Smith, Rebecca Derrick and Alasdair Stuart. Starburst Magazine’s Literary Editor, Ed Fortune, has been the head judge. The winner was announced at the Starburst Media City Festival held in Manchester 17th March. This is mainly a film festival and there were several film awards too. Thank you speech from Margret Helgadottir: I am very honoured and grateful that I have received the award. In the last five years I have been the editor for the Fox Spirit Books of Monsters, a seven-volume series with annual titles published between 2014 and 2020. The books are like a grand world tour exploring old myths and folklore continent by continent. I feel that so many monsters are forgotten today, or watered down and overused in the popular media, and then only a few of them dominate the scene – and they are all mostly from the Western world. I wish to reestablish the monsters’ dark reputation, to give them a come-back so to speak. I wish to show the readers how many great monsters we have around the world. Not only do I wish to scare people with monsters they probably have never heard about, but also celebrate all the wonderful speculative writers we have in all corners of our world. 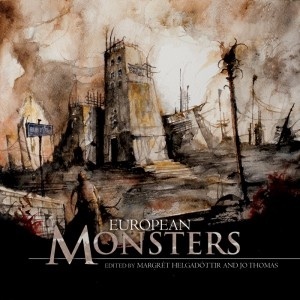 I want the monster books to give the readers an insight into the continents we cover – it is a journey after all. So I seek out authors from the continents who not only know their regional monsters but also the local cultures. Many of our monster stories discuss contemporary cultural and political issues, and are concerned with challenging topics regarding gender, sexuality, heritage from colonialism, wars, racism, and so forth. 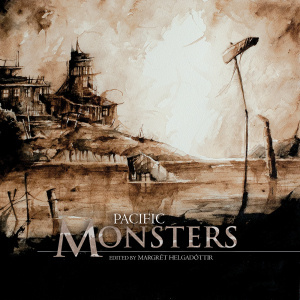 Pacific Monsters stands out as a volume with a major part contributed by indigenous authors. On behalf of the monster writers and artists, thank you! I also wish to send a heartfelt thanks to the wonderful publisher, Adele Wearing, at Fox Spirit Books, for believing in the idea behind and the mission with the monster books, and for giving me as editor much freedom to shape the books. Also a huge thank you to Starburst Magazine and the jury. I am very happy to see that indi presses and literature on the side of the mainstream is celebrated this way.